From the 10th to the 13th of April 2019, the promising and exciting Technology world with machine learning, big data and incredible hardware as its driving mechanism becomes a reality for 24 academics. 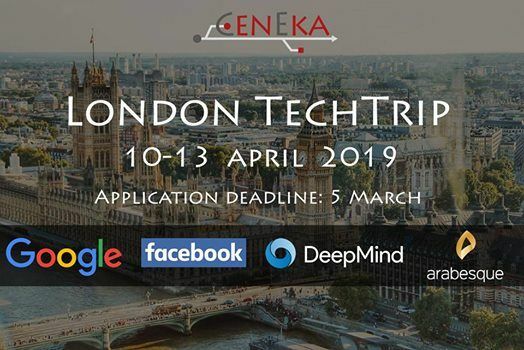 CenEka organizes this London Tech Trip for the first time. During this Trip you get to see what life is like as a London Engineer. You will visit 5 tech companies in London. During this week you will enjoy presentations, tech talks,tours and networking events with engineers of these prestigious tech companies. You will stay at a hotel in the city centre of London. A fulltime position or internship could be the result of your participation in the London Tech Trip. So this trip could become your big break in the tech industry. The trip will be a mix of business and pleasure. We want the students to grow their professional network but as well new friendships between fellow engineering students. 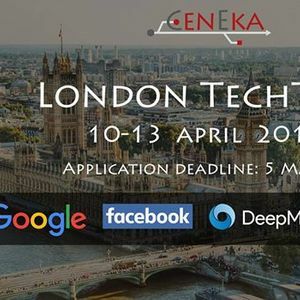 Every participant in the London Tech Trip is required to pay a participants fee of €299. This includes 3 overnight stays, breakfast, transport (Eurostar and London Underground),cultural visits and company visits. Personal expenses are not included. Drinks and snacks are often provided by the participating companies. Please note that all applicants should be students and fluent in English. You are enrolled in a Computer Science/ Electrical engineering degree. Applicants are eager to learn about the London Tech-Sector and ready to have a good time with fellow engineers!